Lucky Beans Slot game is the latest game from the ever popular WGS Technology Casino Software. 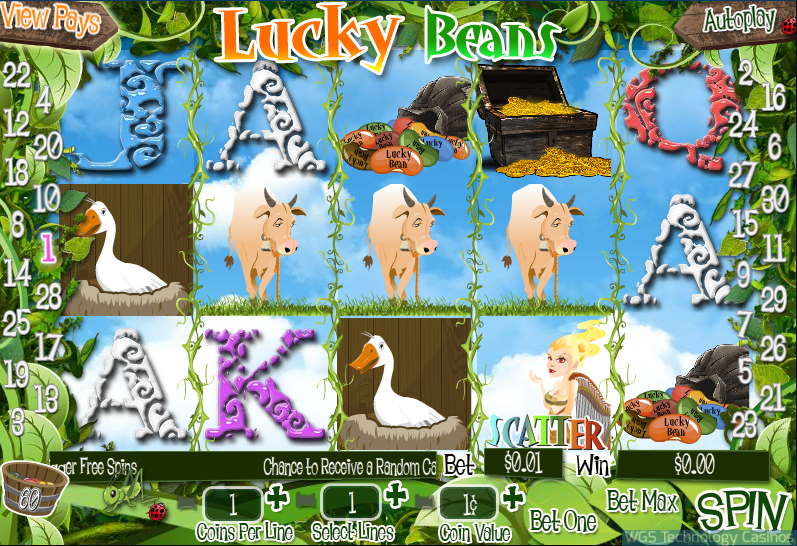 The Casino Software introduced Lucky Beans over the summer and the game has remained as its feature game ever since its introduction into the online casino software. Lucky Beans is themed after the famous Jack and the Beans Stalk where you have the collect beans to trigger a bonus round. The slot game consists of symbols such as a singing harp, a giant, golden goose, beans, a cow and much much more. Whats really exciting about this game from WGS Technology is that you know exactly how many beans are required to trigger the bonus round unlike its others casino games which are random. Once the Bonus round has been triggered you have a maze to go through to hunt for different treasures. But don’t chose wrongly otherwise you will not reach the end where the big prizes are! Lucky Beans Slot game offers a random cash prize award that is up to 200x your coin bet. Their is also the random ogar who bring a multiplier of 2x t0 5x your winnings which means larger wins for you! 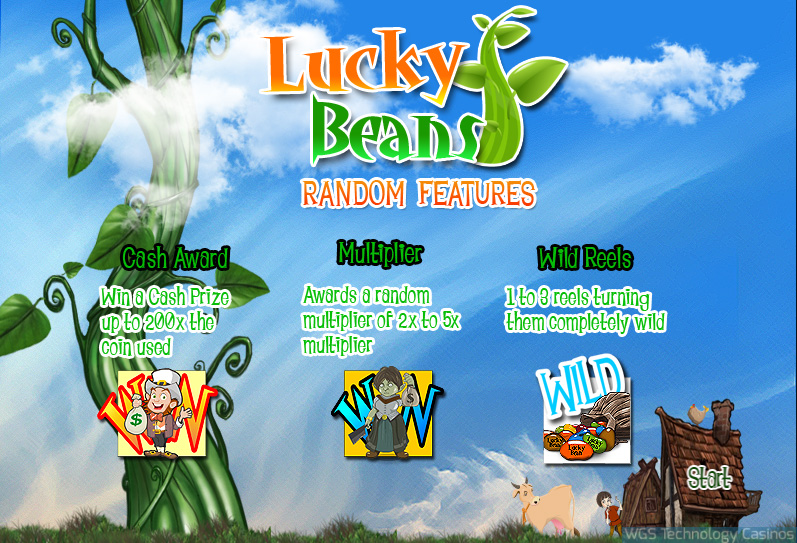 Lucky Beans Slot compliments the casino software greatly with its whole suite of other games. Its a 30 Payline Game with coin sizes ranging from .1c to $1 which has the option to choose how many coins per line. Jackpot of Lucky Beans reaches a max of $75,000.